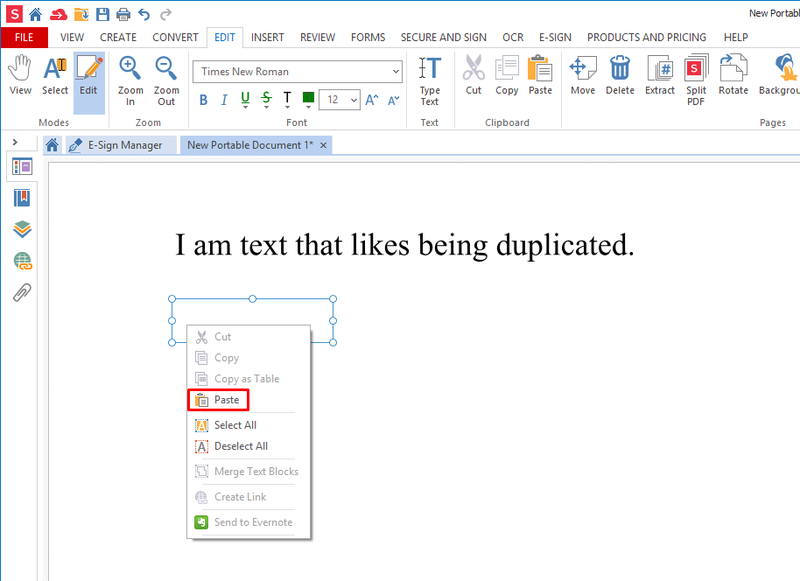 You can cut, copy and paste text in a PDF file, or to and from other file types. The idea behind this functionality remains the same across most programs you will encounter. Cutting, copying and pasting are known as the clipboard commands. The clipboard is the area of your computer where information is temporarily stored as you cut or copy that information before you paste it. It is the brains behind the operation, unlocking the potential to save an incredible amount of time. In many tasks, there are redundant portions of text and typing the same thing over and over again that take far too much time. We’d like to present the remedy. 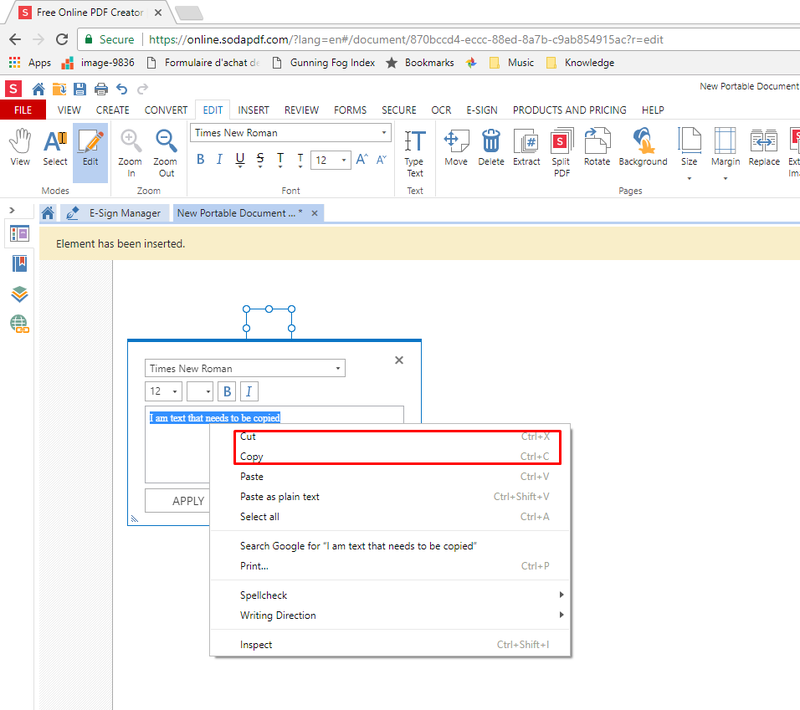 Depending on the application you are using, there will be small differences in how you access the clipboard commands, but the principle will remain the same. 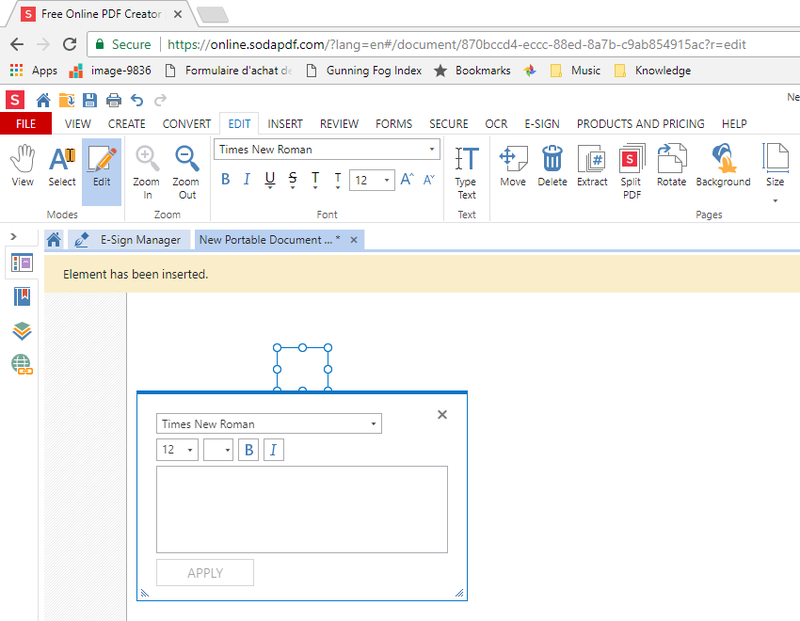 Using Soda PDF Desktop, an application you install on your computer, and Soda PDF Online, an application you access via your web browser, you can perform the same actions. 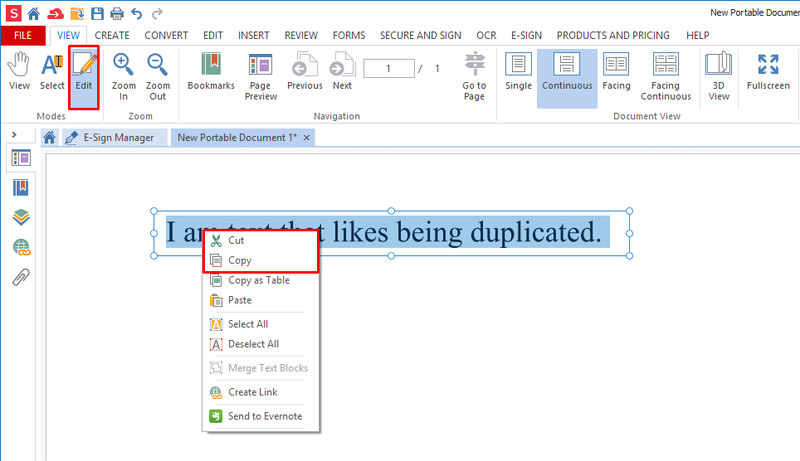 What does cut, copy or paste mean? Before going into how to use this functionality in each application, let’s cover some definitions. When you use the Paste option, the last thing that has been cut or copied will appear at your target location. The clipboard will always remember the last thing you cut or copied until you cut or copy something else. The Cut option should be used when you want to move text to another place. When you hit paste, the original text will be removed from its location and added to the new position. You can continue pasting and it will duplicate this portion of text as many times as needed. The Copy option should be used when you want to duplicate text, but keep the original in its place. Unlike when you use the cut option, pasting won’t delete the selected portion of text. You can also paste the same text multiple times. Since Soda PDF Desktop installs directly into your Windows system, the clipboard functionality can be accessed from within the application. There are a few ways to access the cut or copy options. Your selected portion of text is now in the clipboard ready to be pasted. 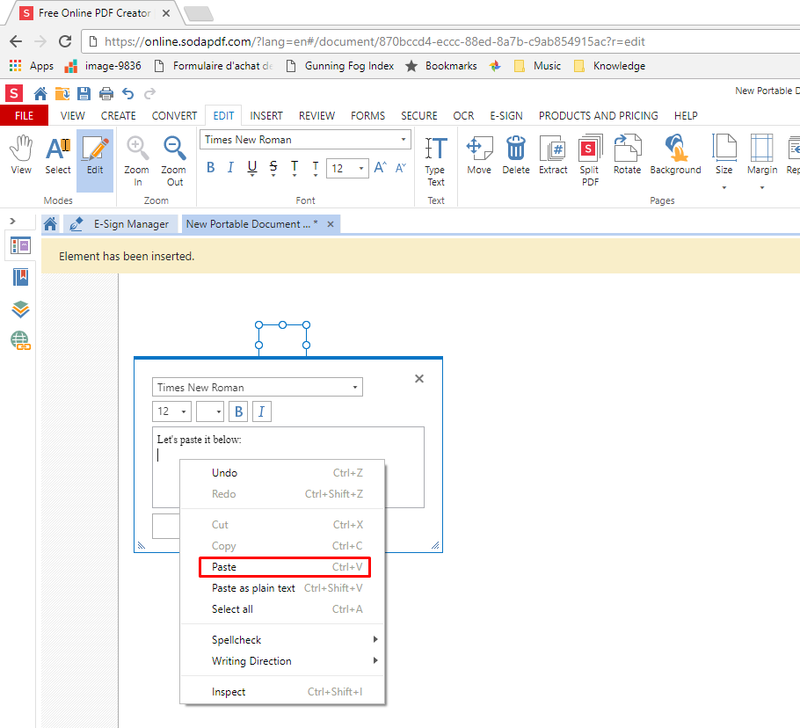 In order to paste text, you will either need to create a new text box, or access an existing one. 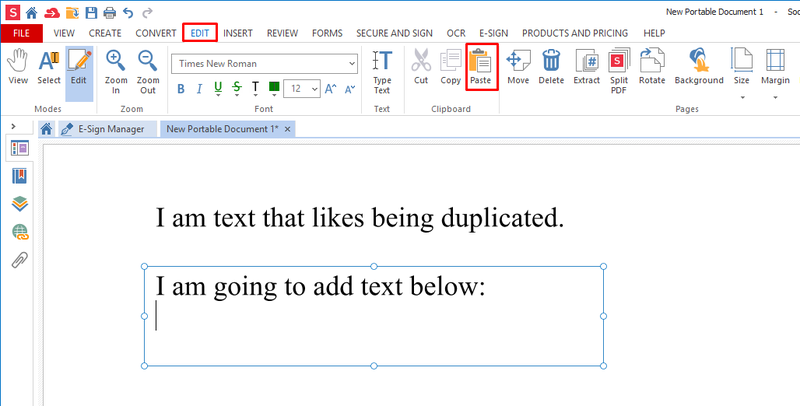 Text boxes are designated areas of your PDF for text editing. 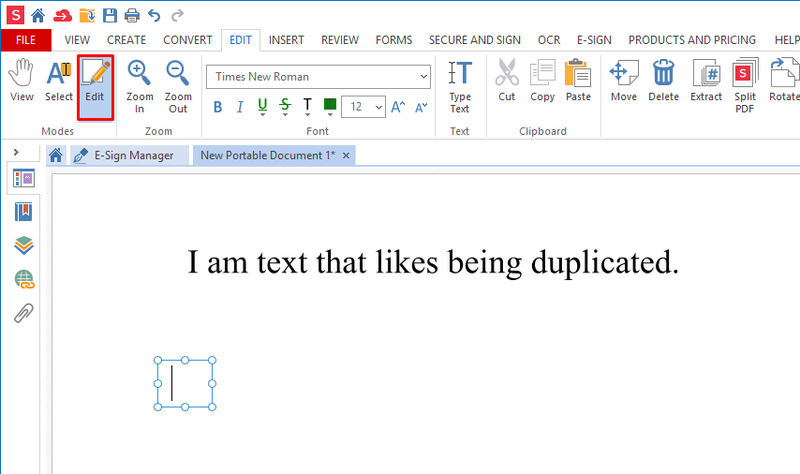 If you try to paste on your document without being in a text box, nothing will happen. You will see the image appear next to where you right-clicked. You can resize and move your text box to ensure proper formatting. You can also move the text box around. Soda PDF Online, like other web applications, is housed within a browser. The web browser is installed on your OS, and when editing text, Soda PDF Online will borrow the functionality form your browser. There is a difference between the way that Soda PDF Online and Soda PDF Desktop handle text editing. 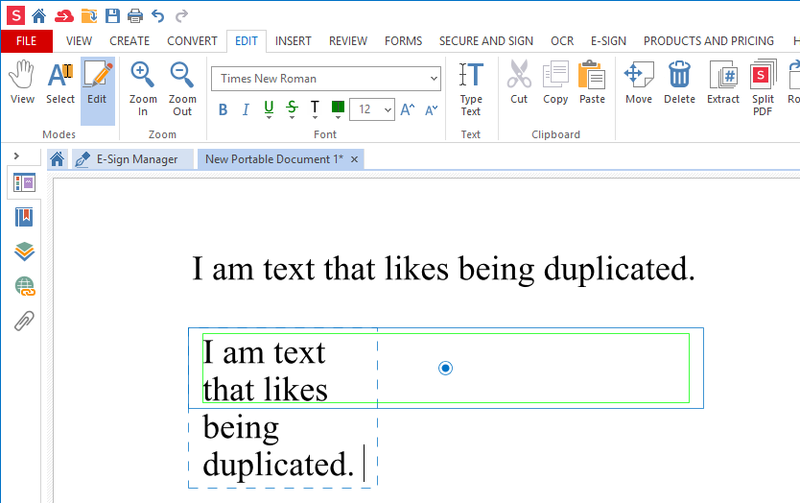 When accessing text, you will see a text editing popup appear. There are no Edit feature keyboard commands. Instead, within this text editor, you will use the options provided by the web browser. This will be the right-click and keyboard command methods. Your text is now in the clipboard ready to be pasted. Pasting text in the editor follows the same principles as pasting in a text box. As mentioned previously, there is no Edit feature option for this. Once you have made all the changes in the text editor, you can make those changes in the document. 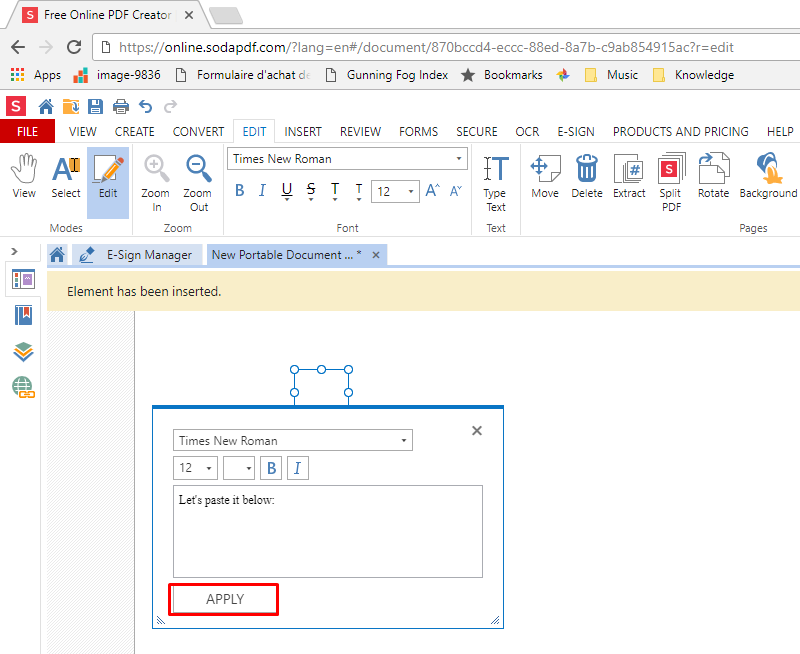 You can resize or move the text box to fit your document with the same methods provided for Soda PDF Desktop. Copyright © 2017 LULU Software™. 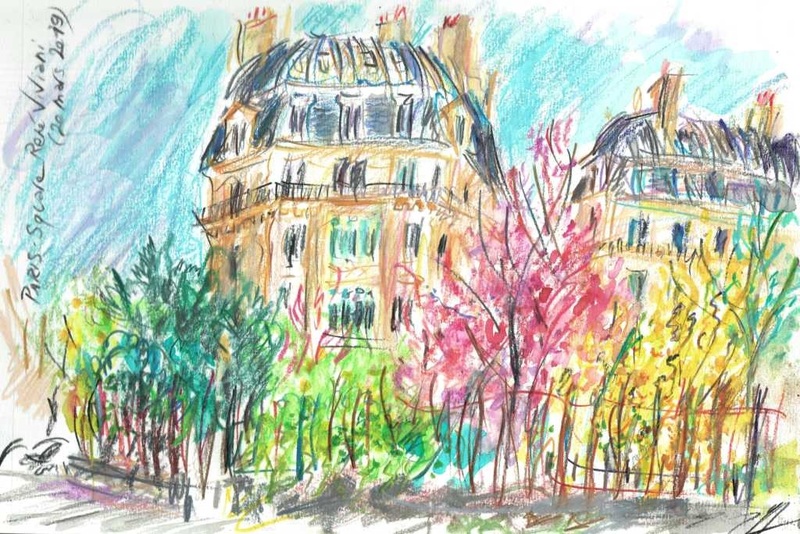 Like this blog? Spread the word!